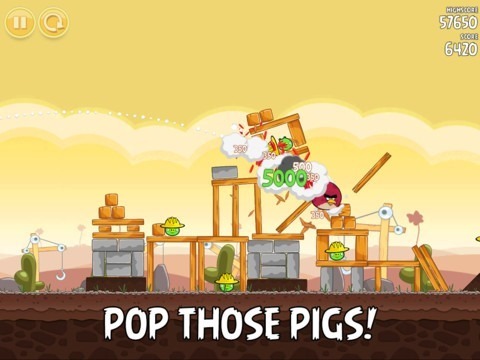 Original Angry Birds Title For iPhone And iPad Goes Free, Get Downloading! 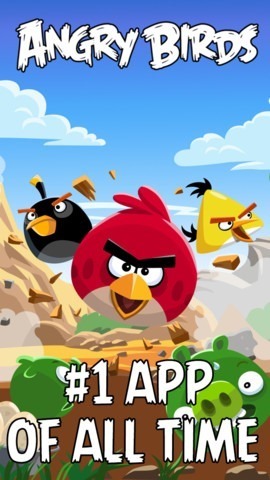 For almost as long as there have been casual iPhone and iPad games, Angry Birds has been one of the titles that every iOS user generally downloads almost immediately after purchasing a new device. For the first time, however, the original version of Angry Birds is now available free of charge for the iPod touch, iPhone and iPad, and you can download it today if the price tag was putting you off. The title is based on a simple concept: slinging birds towards pigs sitting on increasingly complex structures. The aim is to take down all of the pigs using as few birds as possible: this can either be done by tearing down the structure or each pig individually (although the latter is almost impossible). Since its launch, the iPhone version of Angry Birds was available with the modest price tag of $0.99, and the iPad version for a slightly higher $2.99. There was also a free “Lite” version available, with only a limited range of levels unlocked, for beginners wishing to become familiar with the gameplay before purchasing the full title. This model proved itself successful, with many awards won since the title’s inception in December 2009, as well as millions of downloads by avid iOS gamers, as well as casual users looking for an entertaining game to play while commuting home on a packed train. The success of the original title has led the company to develop special editions of the game, while maintaining its intuitive and addictive gameplay. Some special editions include Angry Birds: Rio, inspired by the movie Rio, Angry Birds: Space, Angry Birds: Star Wars and Angry Birds: Seasons, most of which still available on the App Store for the usual $0.99 price tag for the iPhone and the iPod touch, and $2.99 for the iPad. According to sources, Apple will soon feature Angry Birds in its weekly series, Free App of the Week, where a popular App Store app becomes free for the period of one week. The game is expected to become available free of charge worldwide over the next few hours, at least for the next week, so grab it while it’s hot!